Place this Artistic Weavers Piskent area rug in your dining room when you need a splash of style. Keep it classy, quality, and stylish with this indoor/outdoor rug made from plush synthetic material. This rug is hand-made for convenience and quality combined. This green rug with its floral plants pattern is modern and stylish. Improve the overall interior design of your living room, dining room, or hallway with this Artistic Weavers Central Park Kate area rug. Contemporary dicor is made simple with this indoor piece, made of plush wool material. Contemporary comfort comes in the form of this hand-made rug. Include this trellis patterned purple rug in your living spaces for a high quality and high fashion look. Spruce up a dining room, kitchenette or any interior setting with this lovely John Beige 8 ft. x 10 ft. Oval Area Rug. The resilient throw rug from Artistic Weavers is hand-tufted in India of 100% wool, supplying a thick, cushiony feel and long-lasting durability. The muted colours nicely accentuate any decor theme but won't overwhelm your space with gaudiness. Spot-cleaning is a cinch if it ever becomes soiled. The Valorie Burgundy 8 ft. x 10 ft. Area Rug has a regal flair that will give your interior expanse an elegant and sophisticated appearance. With gold and white floral patterns spread throughout, it boasts a burgundy core and a black outer ring to supply your space with a warm, welcoming feel. This throw rug from Artistic Weavers is hand-tufted and hand-finished with fine India wool to produce a lovely, long-lasting accent piece that ties your room together. This Carpet Art Deco Structure Shag area rug is sure to add to the modern dicor of any home. Decor does not have to be hard with this plush jute indoor rug. The machine-made construction of this rug makes it high-quality and durable. 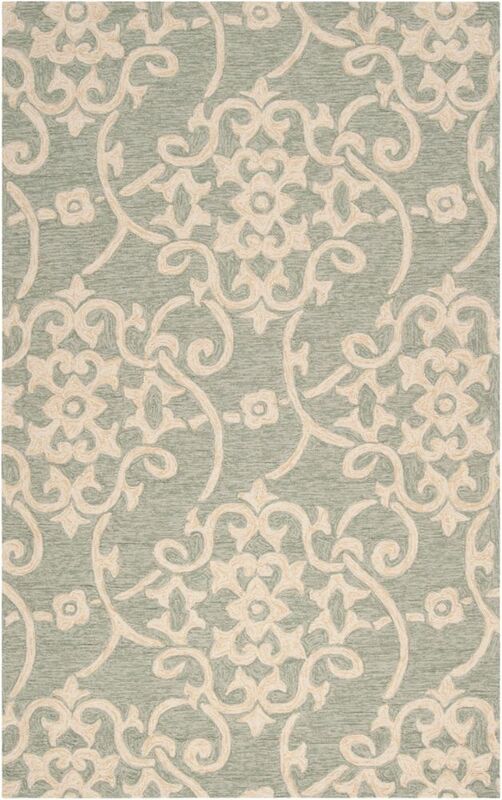 You and your guests will enjoy the lovely solid pattern that decorates this off-white rug. Piskent Green 8 ft. x 10 ft. Indoor/Outdoor Transitional Rectangular Area Rug Place this Artistic Weavers Piskent area rug in your dining room when you need a splash of style. Keep it classy, quality, and stylish with this indoor/outdoor rug made from plush synthetic material. This rug is hand-made for convenience and quality combined. This green rug with its floral plants pattern is modern and stylish.